The Floor is Jelly. What a wonderful concept! As you bounce around the world, distorting the landscape as it reacts to your actions, the serene colours and music create a playful relaxing experience. That is, until the difficulty ramps up and you are left ruing the lack of controller support as you fall to your death over and over again. This game is a platformer through and through. You are immediately dropped in the world with no introduction and begin your journey through the pleasant set of tutorial levels. These are pretty easy, introducing you to some of the mechanics and tricks you can perform while manipulating the landscape, that to advance you need to reach the next window, and hitting the black material kills you (with an instant respawn). After these initial levels you enter a hub with a choice of three worlds to visit. Each world holds it's own style, all of which vary enough to keep things interesting and hold the same charm as the beginning. 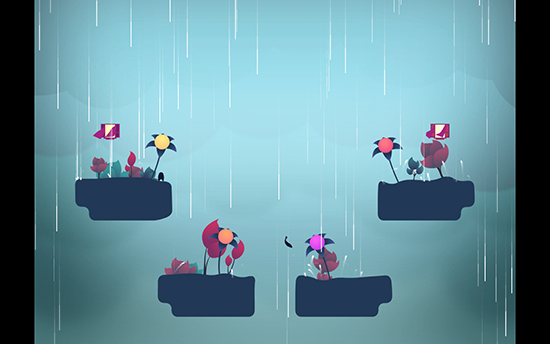 They have slightly differing mechanics, introducing rotating platforms, bouncy musical flowers among others. Completing each world's set of levels fill a third of a door, fill it and you move to the next hub. Disasterpeace's (best known for Fez's soundtrack) score fits really well with the atmosphere. It really is a joy when it all comes together. The sound effects are high quality too. As you progress through the game the difficulty increases significantly. While this isn't a bad thing, it becomes awful to control. 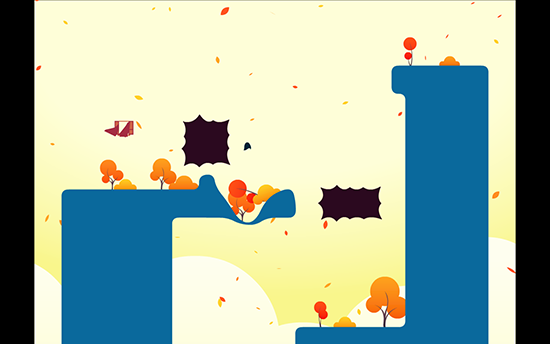 Using the arrow keys to move and jump (or space if you'd prefer), your control feels a little loose, and as your platforming requires more precision you will often miss the intended landing and have to start from the beginning of the level. The building frustration overtakes the serene nature of the game. The final set of levels are not fun at all. The frequently changing and senselessly punishing mechanics are a real slog to progress through, with little payoff at the end. The player has very little control over the environment in these levels and I ended up taking advantage of glitches to get through. There is also an issue with the sense of progression and your place in the world. There are no maps for the larger levels or level selection if you wanted to replay an earlier section. You would want to do this to find the fiendishly hidden secret levels. There are thirty in total and I only found four in my play through. These are placed intelligently in a hidden part of a level, the kind of discovery that makes you go 'oooh' with a sense of satisfaction when you find it. However, to return to earlier levels you have to literally go through the game backwards till you find the correct levels. Something I doubt many people will do. The game is buggy too. In my play through I had about five character freezes requiring restarts, the water mechanic gets your character stuck in places and lost my save file once (thankfully I was only three quarters of an hour into the game). 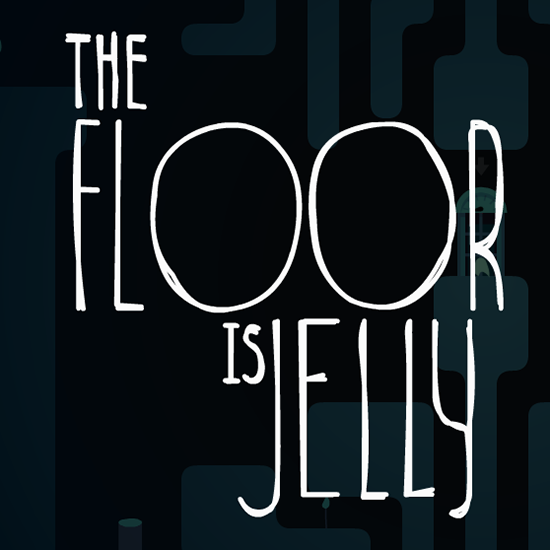 The Floor is Jelly is equal parts brilliant and frustrating. Many of the levels are designed really well and it is fun to play through them. The controls could be improved massively with controller support (something I hope will be patched in) but as it is the lack of precision while jumping is infuriating. + Wonderful atmosphere composed of music, sound effects, graphics and colour. 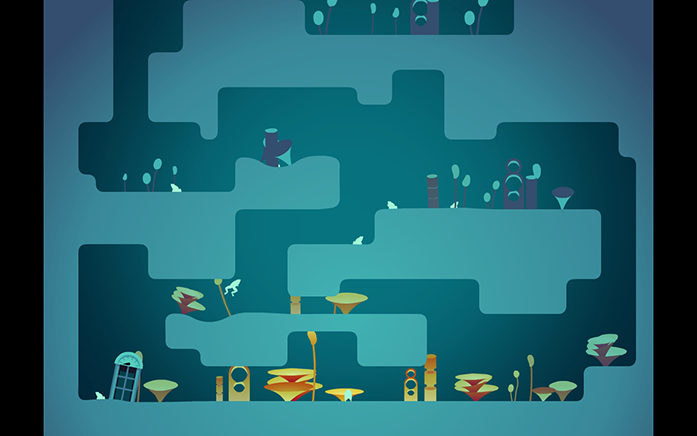 + Well designed levels (for the most part). + Jumping around the bouncing world and watching it shimmer is awesome! - No controller support making platforming imprecise and infuriating. - Last set of levels are horrible and no fun at all.